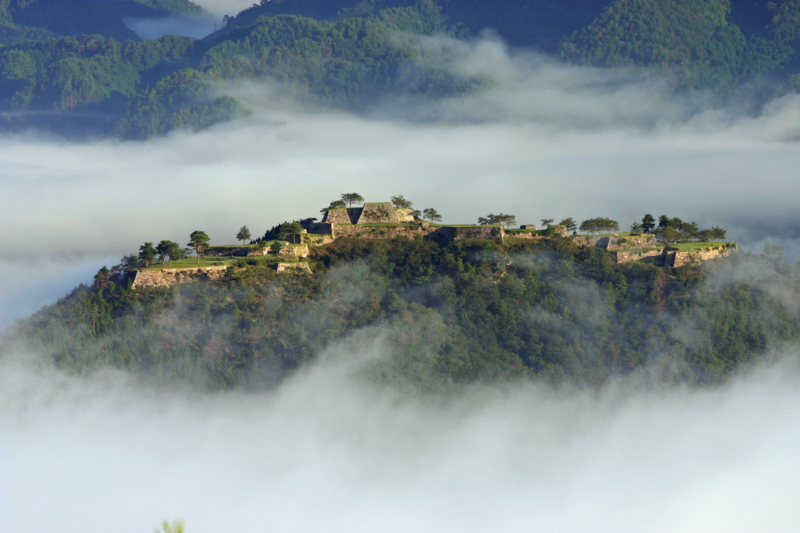 Located at the summit of a mountain some 353.7 meters above sea level, Takeda-jo Castle Ruins is a nationally designated Important Cultural Property. The castle was said to be established on a foundation built by Sozen Yamana, governor of Tajima during the Kakitsu era. 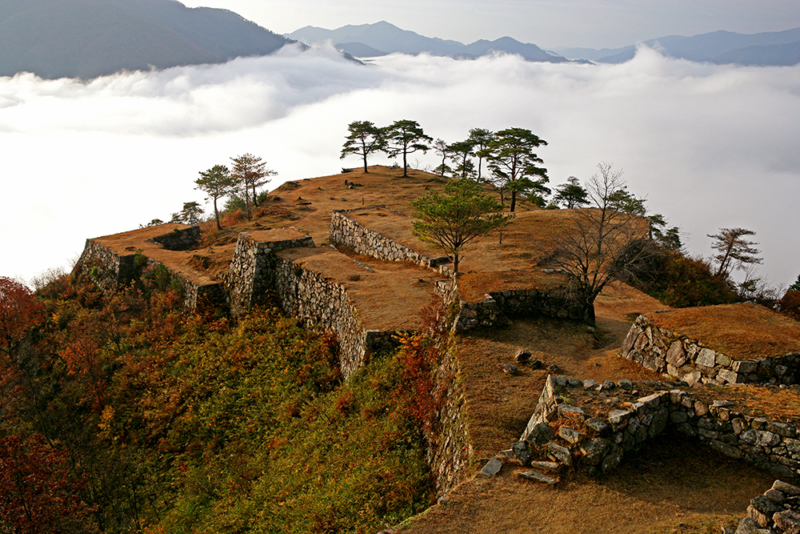 The castle was later conquered by Hideyoshi Hashiba, one of Nobunaga Oda’s generals. As the castle’s final governor, Hirohide Akamatsu was responsible for the castle’s magnificent masonry, earning these ruins’ inclusion among Japan’s 100 greatest castles. May be limited by entry restrictions. Contact the information center in advance. 10 minutes by taxi from JR Takeda Sta. copyright © HYOGO-HERITAGE ROUTE. All rights reserved.